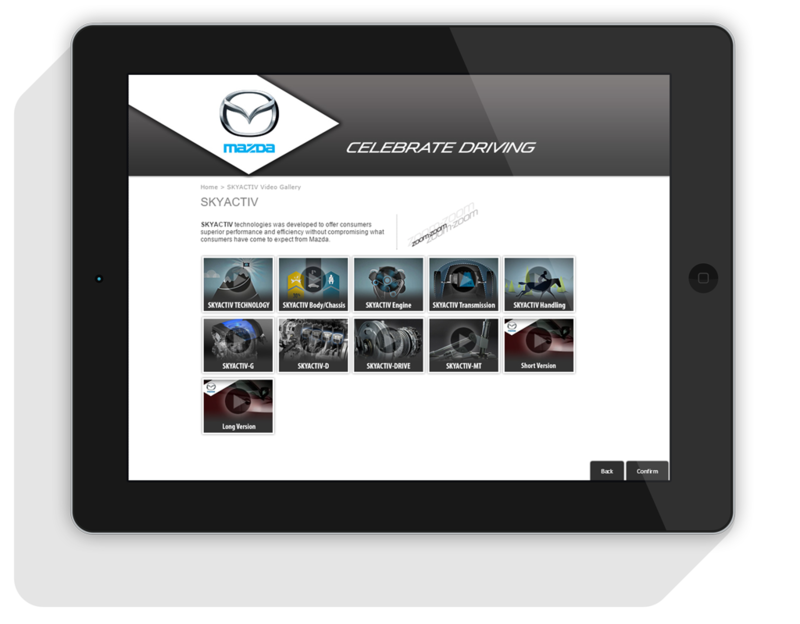 Mazda customer satisfaction in Canada was at the very bottom of the chain, on number 14th out of 15. Just before Fiat. 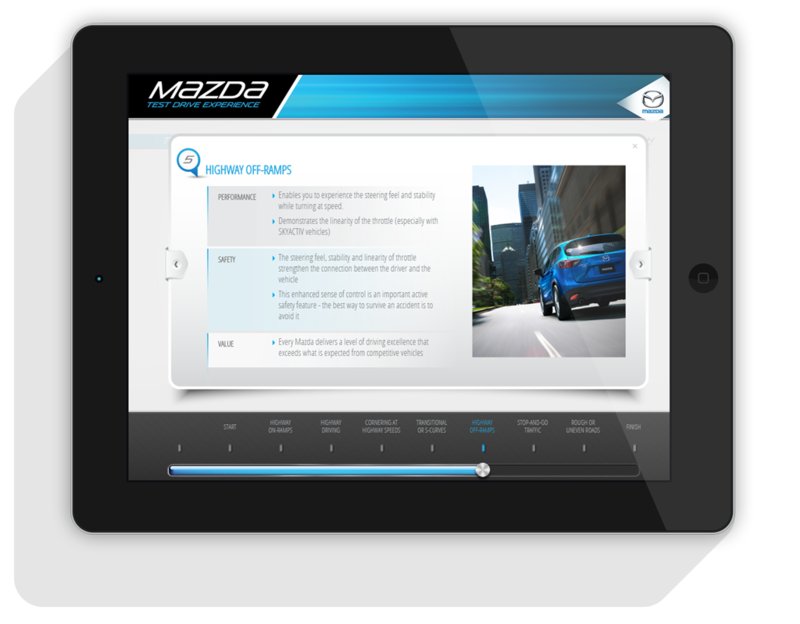 They didn’t have a standard process in the different dealerships, the Test Drive experience was undesirable by prospects, as well as the technology of the cars difficult to understand. There was also no data to read of what is a good sales performer doing or showing versus bad one. 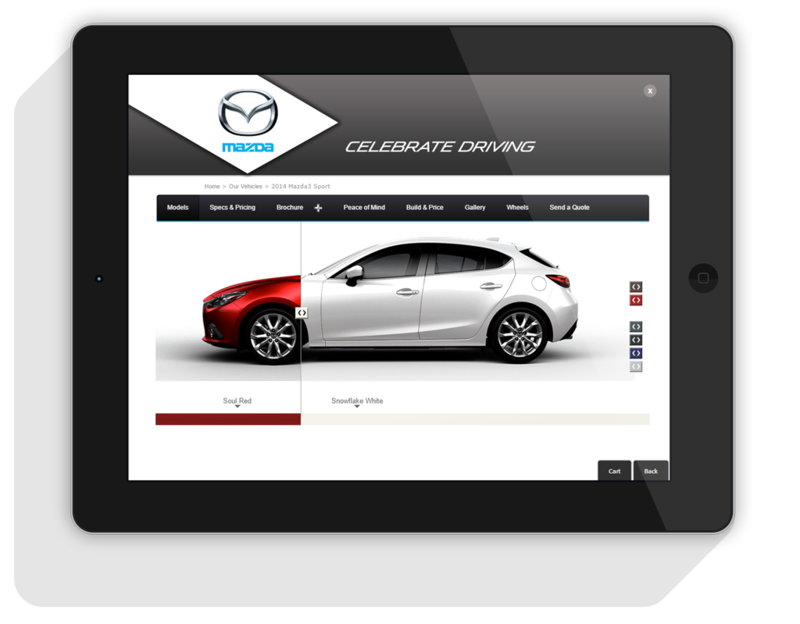 Design and build a responsive mobile app to empower sales reps, making a seamless integration with all the dealerships. 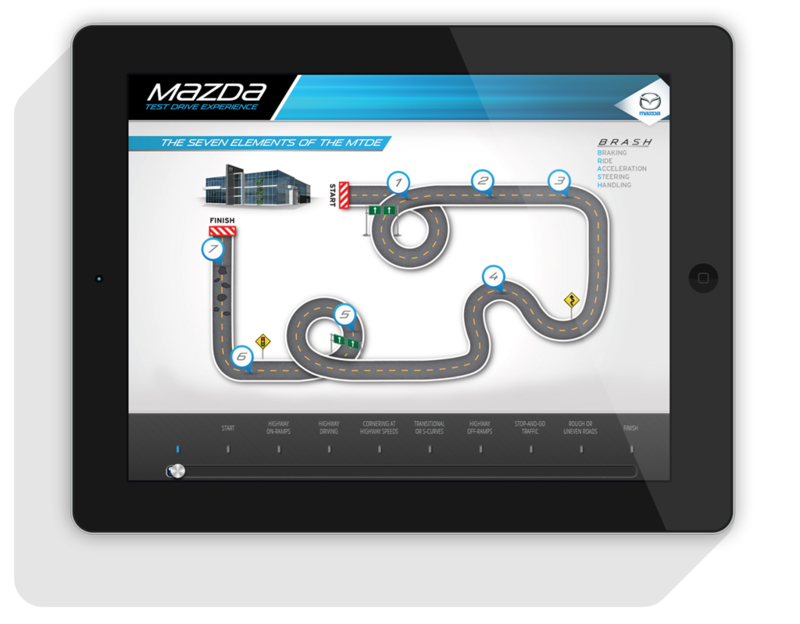 The app educates the customer to make a sound decision, showing off the features of the cars, and why they are better. With the ability of sharing content like PDF’s, videos, and collateral to provide the customer with what they are interested in, saving budget on printing material, as well as being able to track analytics of every interaction. Sales reps and customers were tested and inquired with questionnaires, surveys, on-site testing, cognitive walkthroughs, and focus groups. In order to provide the best usability on the app, focused 100% in the user. 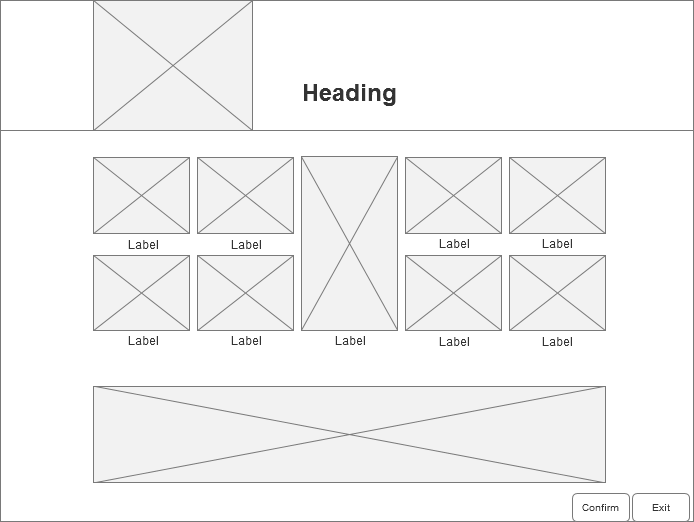 Once the prototype was finalized, I generated the User Interfaces, then the system was built. "Absolutely love it! Great work Luis. Thanks for confirming that there is no black border in the final design. It looks perfect…let’s roll!!" 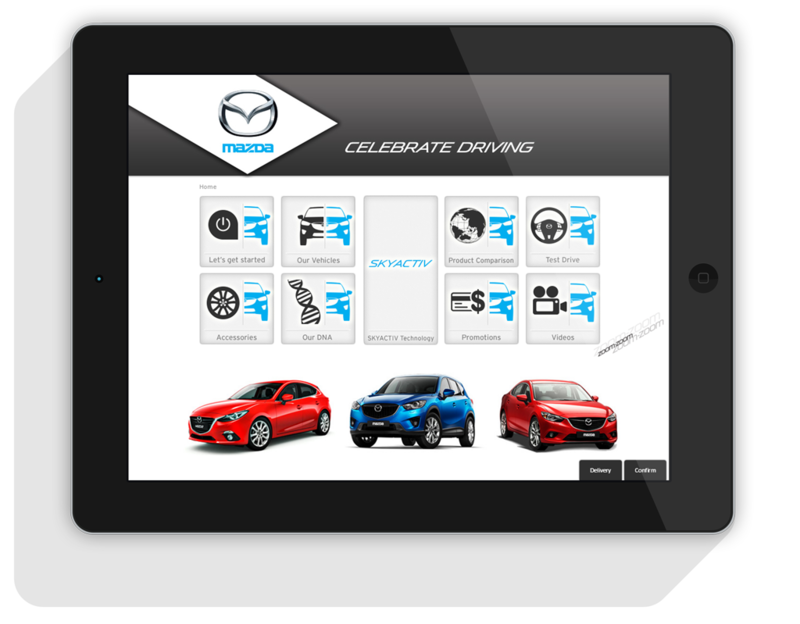 • Drove the whole Mazda car-lineup!